Features of this tent include a tough 16 ounce block-out vinyl top that is not only bonded with 1 inch heat sealed overlapping seams, but is also equipped with reinforcement patches at the crowns. 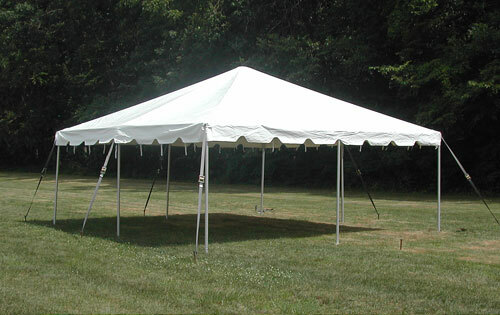 In addition, over 94% of the tent top is bonded with heat sealed construction. The poles are made from highly reliable galvanized steel and no center poles or supports are required. Included are the required stakes and ratchets, along with user friendly instructions for quick and easy set up.